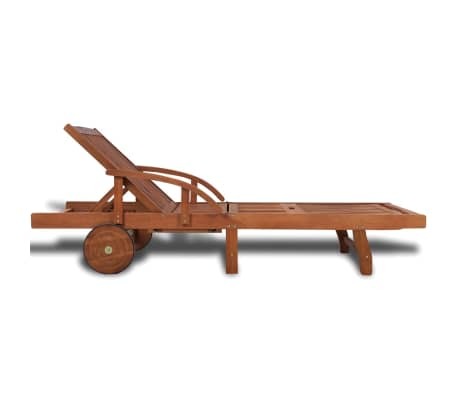 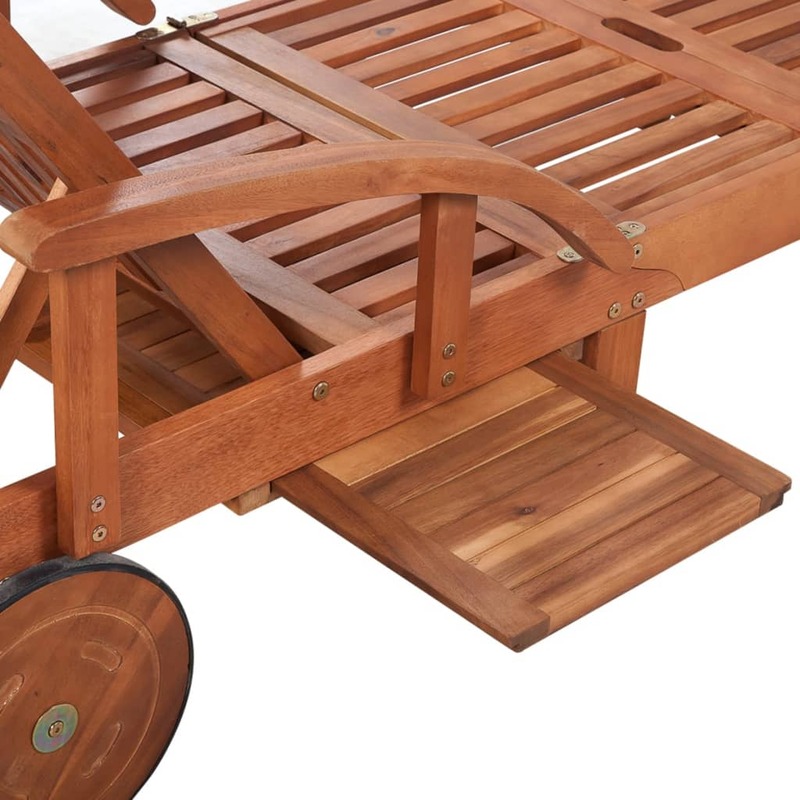 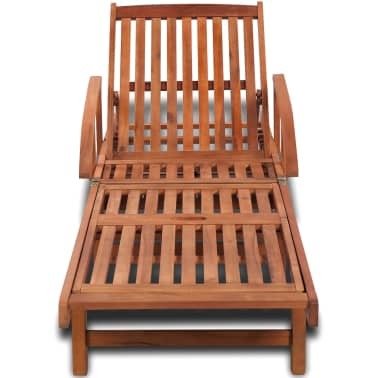 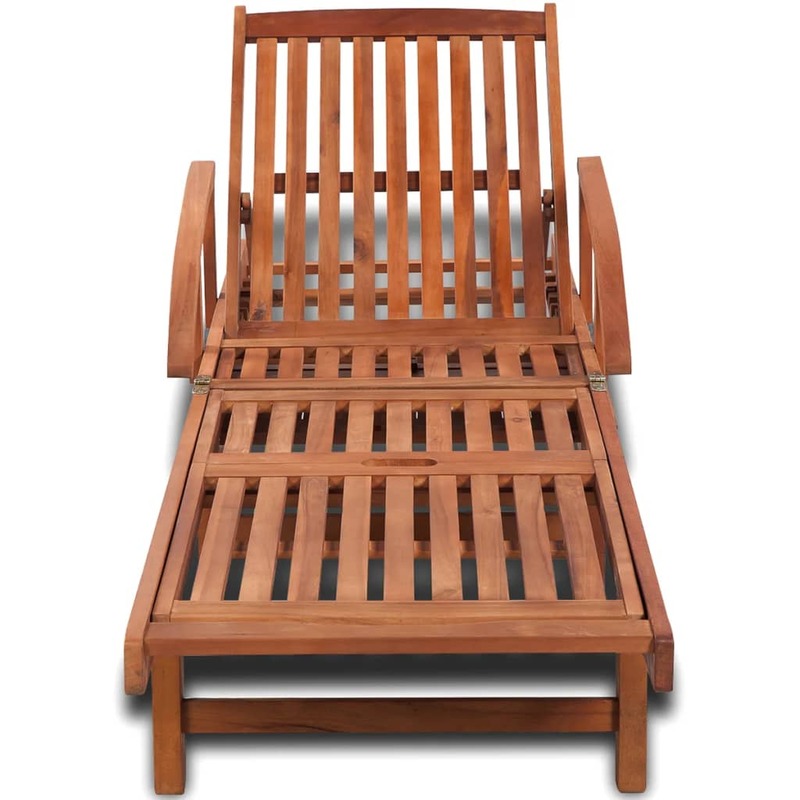 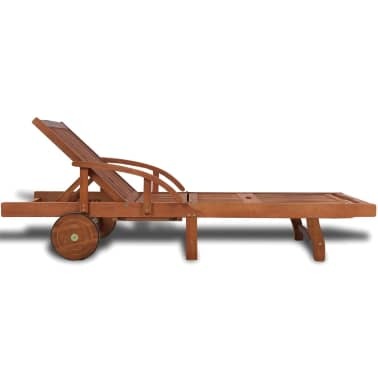 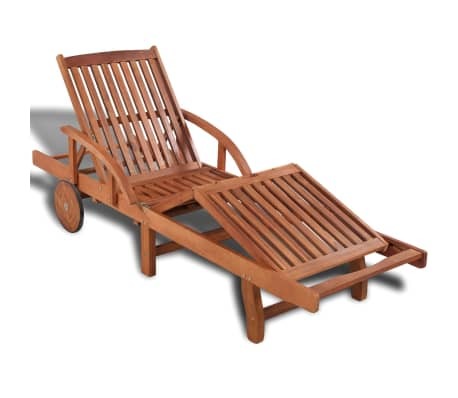 This classic garden lounger has an attractive slatted design, and will add a touch of rustic charm to your garden, patio, pool deck or other outdoor living space. 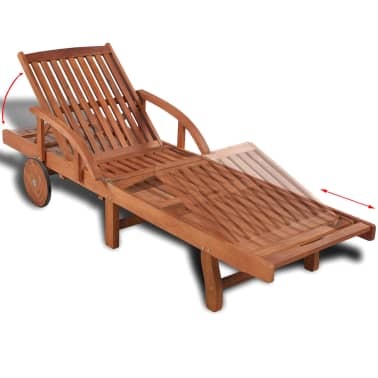 This daybed is made of durable, solid acacia wood, which has been finished with a natural oil coating and is characterised by its excellent weather-resistance. 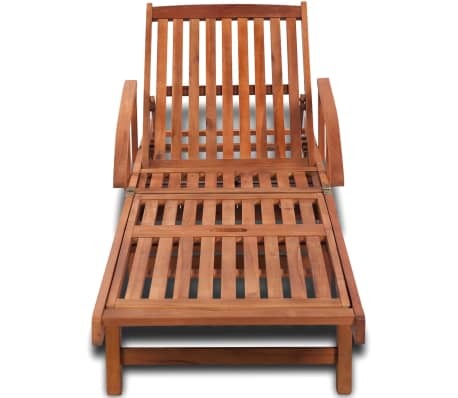 Therefore, our sun lounger is extremely suitable for outdoor use. 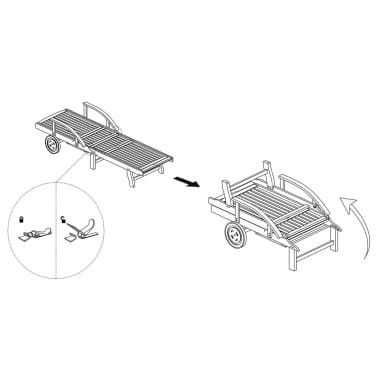 Equipped with 2 wheels, it can be easily moved around. 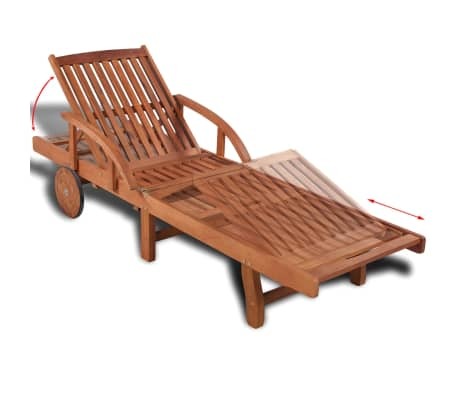 The chaise lounge boasts a convenient pull-out table, on which you can place your phone, sunglasses, drink and other small items. The backrest can be adjusted in 5 positions, from fully upright to completely flat. 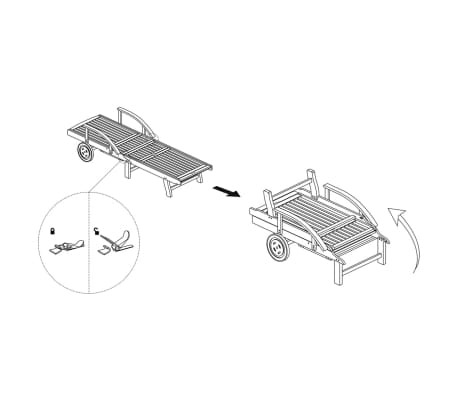 The footrest is also adjustable. 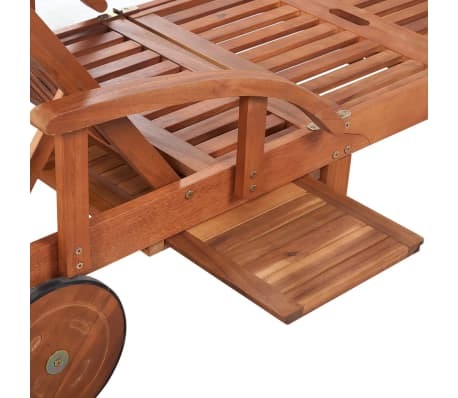 The seat and backrest slats offer great support and are comfortable as well, and two armrests give you a place to rest your arms. 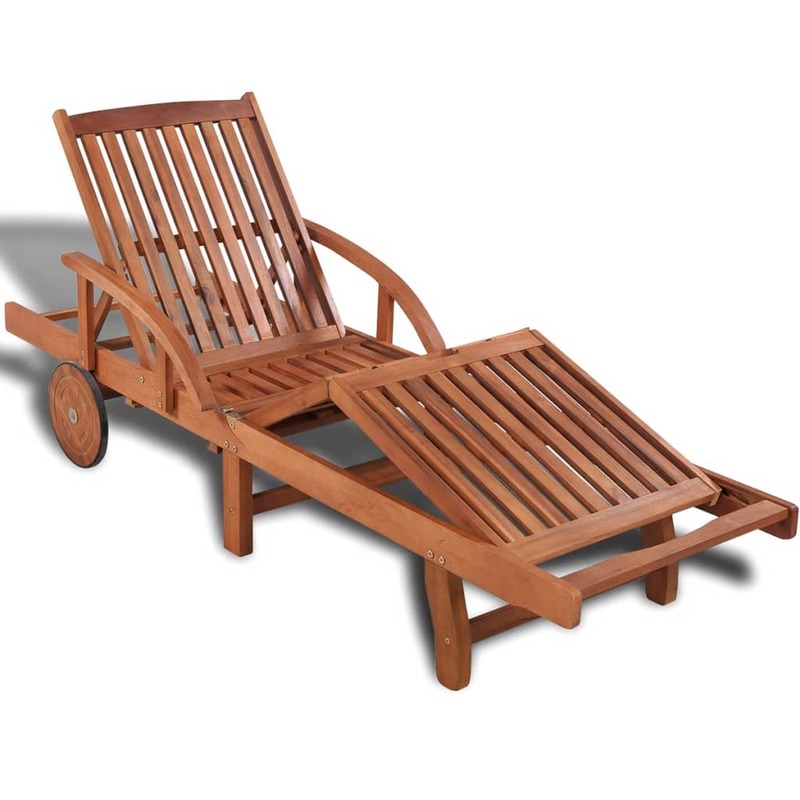 Take a load off on this lovely sun lounger!